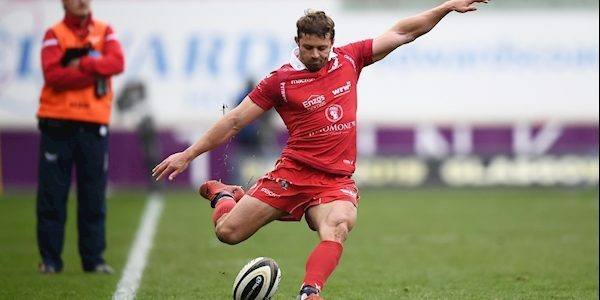 Hadleigh Parkes, Jonny McNicholl, Kieran Hardy and Ioan Nicholas also crossed the whitewash for the Welsh outfit, with all six tries converted by Leigh Halfpenny. It means Scarlets now have to beat Dragons in their final Conference B game with a bonus point and hope other results go their way to reach the play-offs. Scarlets made three changes from the side that lost at home to Edinburgh with Wyn Jones coming in for fellow Wales prop Rob Evans while Josh Macleod replaced James Davies in the back row and Nicholas took over from Steff Evans on the wing. Wales fly-half Rhys Patchell was recalled to the match-day 23 after being dropped for poor form. Zebre, who made nine changes to the side that lost to Connacht 6-5 last weekend, enjoyed a lot of possession in the first half but their weak scrum allowed the Scarlets to open up a 14-0 lead by the break. The Scarlets usual spark with ball in hand was missing but their superior scrummaging kept them on top. 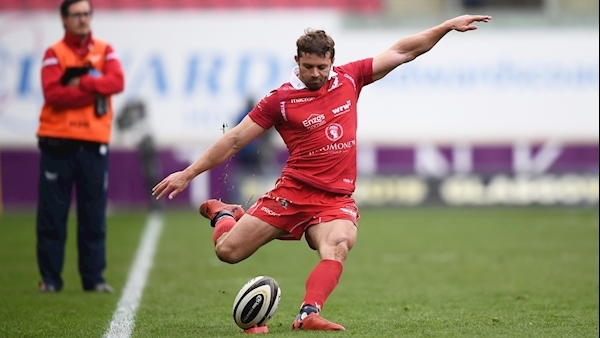 The home side’s first try came in the 13th minute when the Scarlets eight pushed the Italians off their own ball at a scrum with Cassiem picking up and powering over the line. Halfpenny converted. After that, the first half was frustrating for Scarlets until referee Keith Allen lost patience with tighthead Marco Ciccioli and showed him a yellow-card for persistent collapsing of scrums. At the next scrum, Scarlets took advantage of the extra man with fly-half Dan Jones putting centre Parkes over for the second try which Halfpenny to covert. As in the first half Scarlets struggled to get their attacking game going after the break and the opening 20 minutes were scoreless. But the final quarter was very productive producing four tries. Scarlets’ third came on the hour mark when Parkes put McNicholl over in the right corner. Ten minutes later, Zebre lost their captain and lock George Biagi to the sin bin for a professional foul. The extra man it allowed the Scarlets to secure the much-needed bonus point with Cassiem going over. In the space of two minutes before the end both Hardy and Nicholas scored long range tries to put a bit of gloss on the winning margin.